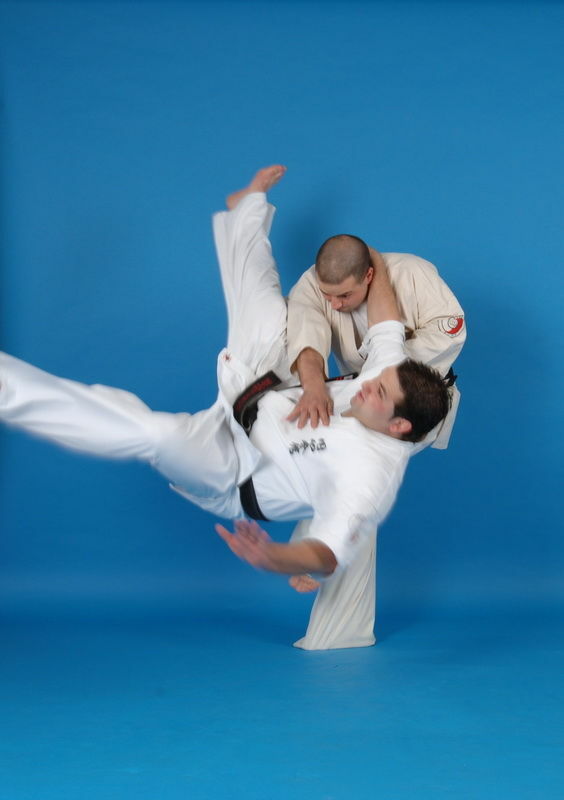 Sabaki is a circular movement out of the line of attack into a “blind spot” position, from which the Enshin practitioner can counter attack while using the opponent’s momentum against them. The term “blind spot” refers to the area to the back and side of the opponent, where the opponents visibility is limited and their offensive weapons are few. 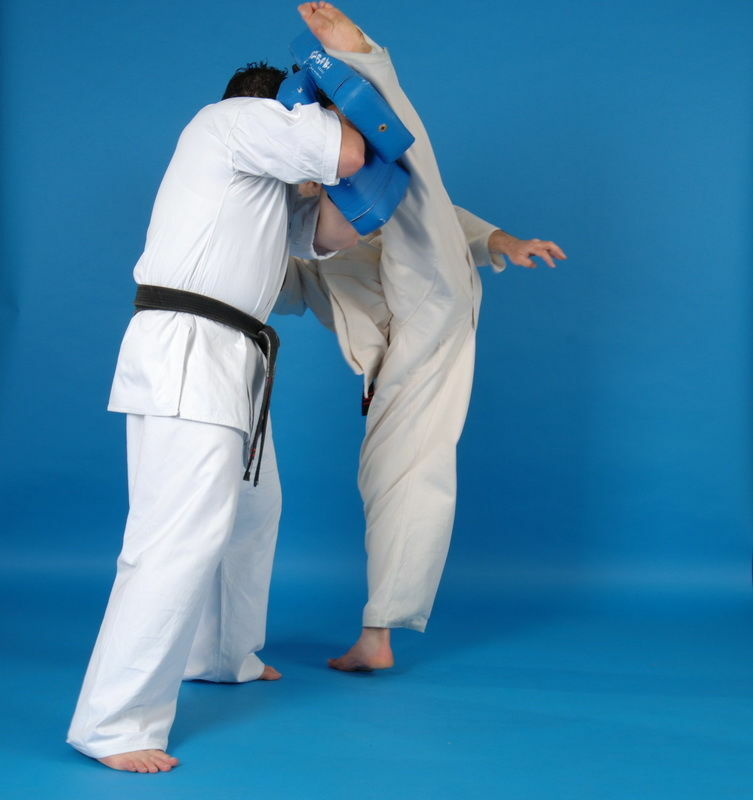 To maintain this “blind spot” position the Enshin practitioner uses several grabbing and pulling techniques to keep the opponent off balance which greatly reduces the power and the effectiveness of the attack, thus enabling the Enshin practitioner to gain a superior position in relation to the opponent from which a powerful counter attack can be applied. The fighting combinations derived from the Sabaki method of fighting are not only powerful and effective they are almost limitless. 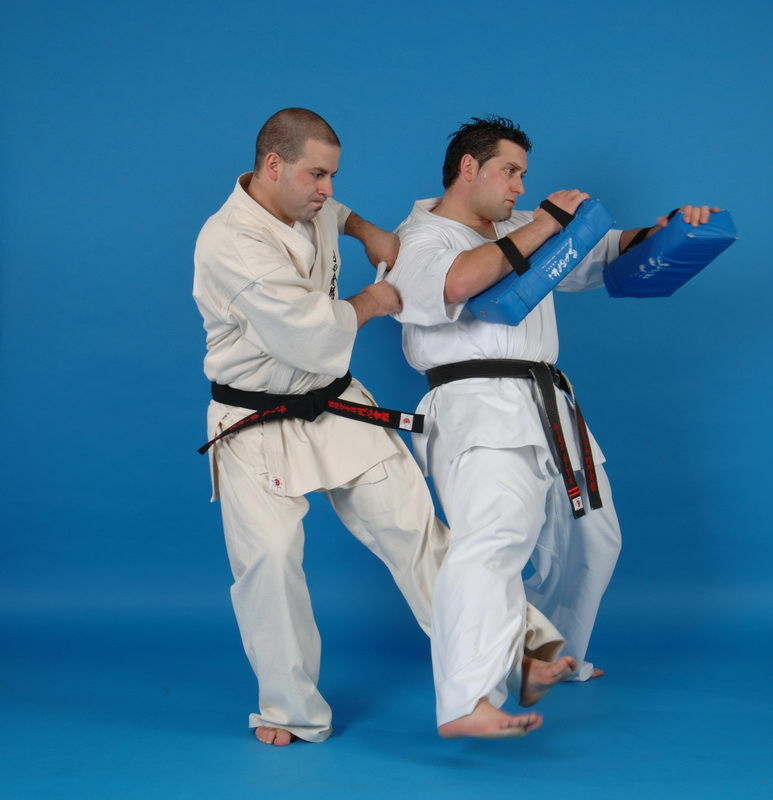 Enshin Karate is truly a blend of traditional philosophy and contemporary fighting techniques, which is not limited to physical size, age, or gender. 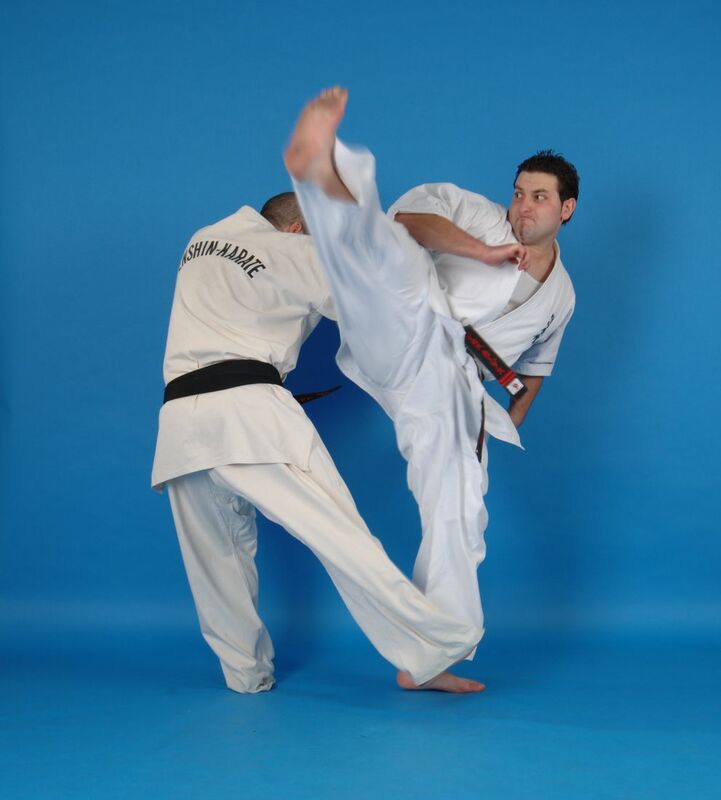 The most critical aspect of Enshin Karate's Sabaki method of Self Defence is position. As a defender your distance and position in relation to your opponent will determine your counterattack. Positioning means not only moving out of the way of an attack, but also being aware of distance and using timing appropriate for each distance - short, middle and long. Distance is not a function of where you start in relation to your opponent when you square off to fight: it is determined by where you find yourself at the end of the opponent’s attack when you are ready to counter. You should always decide the distance best suited for your counterattack and then move accordingly. Positioning is useful not only for aversion but to lead the opponent’s momentum into to the right position for you to gain the advantage. Against any attack you must choose the best possible position to give you an advantage to launch an effective counterattack. The most efficient way to achieve this is moving into what is known to Enshin practitioners as the ‘Blind Spot’. When you are in your opponent’s Blind Spot, you are protected from the opponents follow up attacks, as well as being in a good position to keep your opponent off balance as you counter attack.